King & King Business Advisors (“KKBA”) sells Pharmacy businesses all over the United States. It doesn’t matter to us if you consider yourself to be an Arkansan or a Arkansawyer, we can help you sell your Arkansas Pharmacy business. For over a decade we have been helping folks all over the country to sell independent pharmacy businesses. To that end, we enjoy a completely unblemished record with 100% closing success with these businesses. No matter whether your Pharmacy is making money, or not, you have something to sell. Your insurance contracts, your license, your trained staff, your locations and your good standing with Medicare all have goodwill value. 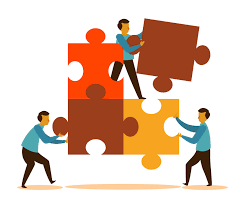 Our medical sales group can put all the pieces of the puzzle together to get your DME or Pharmacy sold. We put the pieces of the puzzle together to get a successful sale. Mr. Blum joined King & King in January of 2010. Prior to joining King & King Mr. Blum spent over 7 years working as a Business Broker with a local Washington DC brokerage firm. While there he was doing general business sales. In his tenure Mr. Blum won numerous awards for his achievements in sales including “Broker of the Year” several times over. It was while working at this brokerage firm Mr. Blum started working with Pharmacy owners. Prior to brokerage work Mr. Blum worked in his families retail furniture business for over 20 years. Mr. Blum has successfully completed well over 300 business acquisition transactions. Mr. Blum has a great deal of experience dealing with business sellers and business buyers. Over the years Mr. Blum has developed a sphere of transaction professionals that help him to get transactions structured, deals financed, problems solved and settlements done. A native of Montgomery County, Maryland, Mr. Blum went to the University of Maryland. Mr. Blum has probably done more business acquisition transactions than most other business brokers in the country. Though these businesses are highly regulated in every state, most of the states treat pharmacy businesses the same. There are differences in how they handle a sale or a transfer and these differences can be subtle or profoundly dissimilar. For more information on how Arkansas handles pharmacy business sales and transfers, go the their website at Arkansas State Board of Pharmacy. We stand with the Arkansas Pharmacists Association in support of every pharmacy owner in Arkansas.